don't get my wrong the download speed is nice!! 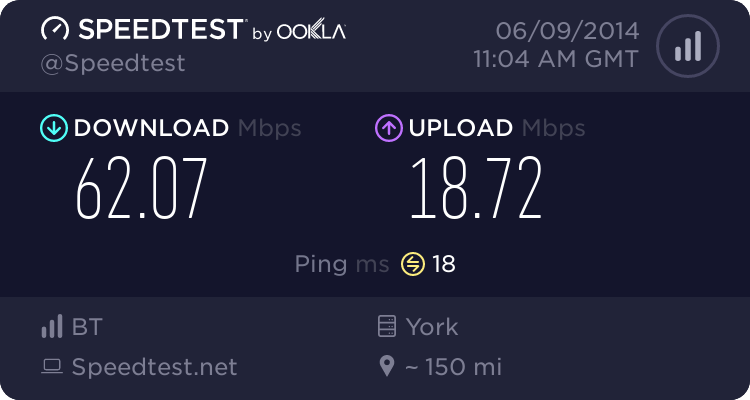 but the upload speed isn't which am not happy about! let me get this straight, you are not happy with a 6mb upload? lol. @mattyatty1 Might be worth co-oping with @jackdinn re using your server for upload testing? We had issues this morning with some of the RiPWiRE accounts that were migrated across in that an automated admin job that ran messed up some RiPWiRE usernames (which has now been fixed) which accounts for your loss of service. 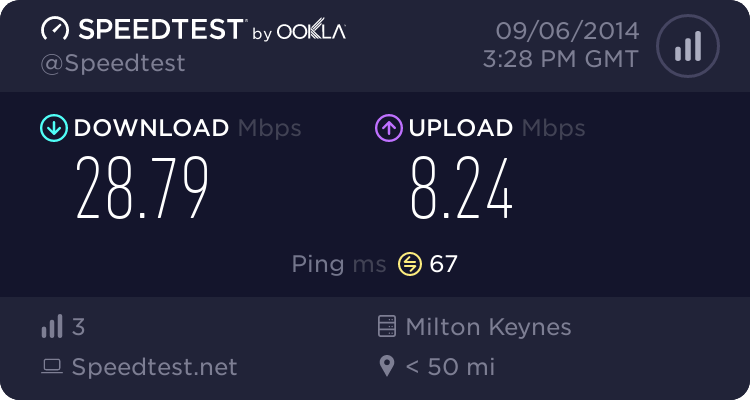 This should have had no bearing on your connection speed however.... we've found out that Thales did apparently make some changes to profiles when migrating people which we hadn't asked them to do, it's possible they've been 'tinkering' again however can you raise with support and they'll be able to get a definitive answer for you. Not going to push this into anyones head, but throughput isn't guaranteed on any internet service..VDSL is no exception. (28-02-2012 11:55 AM)jody-ASK4 Wrote: We had issues this morning with some of the RiPWiRE accounts that were migrated across in that an automated admin job that ran messed up some RiPWiRE usernames (which has now been fixed) which accounts for your loss of service. 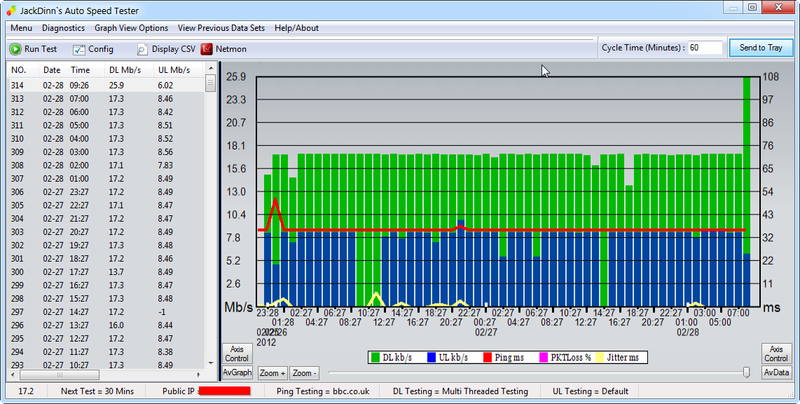 This should have had no bearing on your connection speed however.... we've found out that Thales did apparently make some changes to profiles when migrating people which we hadn't asked them to do, it's possible they've been 'tinkering' again however can you raise with support and they'll be able to get a definitive answer for you. Have you got any explanation from them (NOC) why they have been altering settings. I can appreciate they want to make everyones service as good as possible, but would be nice for them to communicate that lol. sure would be nice to know what NOC is doing and would also been nice if they spoke to the person on how they want it tweaking which would be better as am sure some people might like a faster upload and some might want a faster download but who knows..
8 144 ms 144 ms 155 ms xe-0-1-0.chi12.ip4.tinet.net [89.149.187.86] << problem ?? 8 * * * 212.58.241.131 (212.58.241.131) Request timed out.